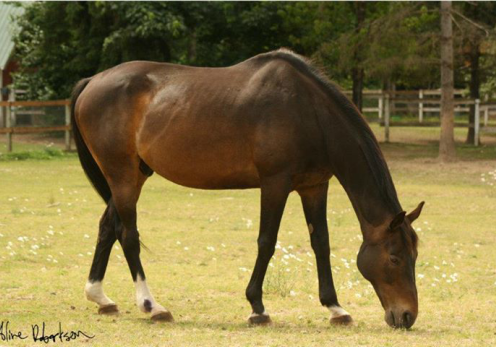 Jasper is an 20 year old, 16hh, dark bay gelding. Jasper was surrendered to Sunrise Equine Rescue due to the fact his owner was no longer able to ride. He came to us with rain rot, mud scald, dropped pasterns, and blind in his left eye. Although Jasper is blind in one eye and cannot be ridden, he has been instrumental in our lessons. He has been used to help teach grooming techniques, leading and most of all, Love. He is our gentle giant. Jasper is not available for adoption but a sponsorship is always welcomed!